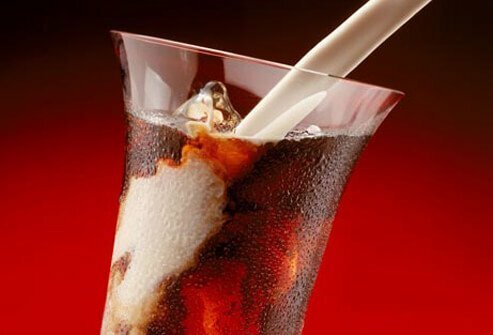 A whole day of eating right can go down in the swirl of cocktail -- with crazy-high calories and weakened willpower. So we've put a few drinks on a diet, starting with the Cuban mojito. Instead of using sugar, use a wooden pestle or a big spoon to gently crush cubes of watermelon with fresh mint leaves. 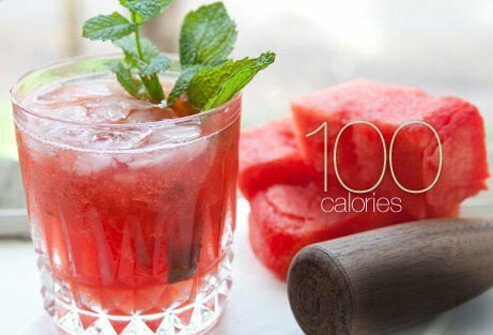 Add rum and sparkling water for a sweet mojito with half the usual calories. Skip the syrupy mixes in crazy colors and you'll trim hundreds of calories from this Mexican cocktail. Measure out the basics: one shot of tequila, lime juice to taste, and a splash of triple sec. Shake with ice and serve. Staying within the limits of moderate drinking -- one for women and up to two drinks per day for men -- is another way to watch your calories and your waistline. Rum that's infused with a coconut flavor can cut about 300 calories from a piña colada. What's out? The sugary, coconut milk mix. Measure one shot of coconut rum. Then add fresh strawberries, a splash of agave syrup, and blend with ice. You get a tall, 12-ounce tropical cocktail for about the same calories as in a handful of pretzel twists. Make a super-slim cosmopolitan by replacing the vodka with shochu, a Japanese spirit with a smooth flavor. 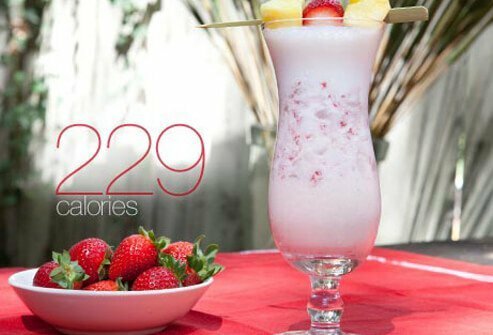 A 2-ounce serving has only about 35 calories. Add splashes of diet cranberry juice, fresh lime juice, and orange juice, and then toss in a martini shaker. 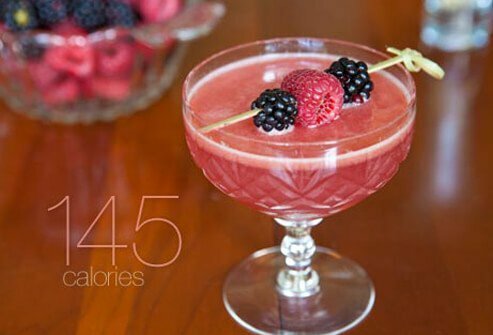 This cosmo shakes out at half the calories of a traditional cosmopolitan. Simple, unadorned berries can help slim down a strawberry daiquiri. Start with 1 cup of no-sugar-added berries, either fresh or frozen. You get intense berry flavor for just 50 calories, compared with 255 calories in berries frozen with syrup. Add rum, ice, and sweeten the deal with 1 teaspoon of stevia, a sugar substitute. Blend into a slim and delicious frozen concoction. 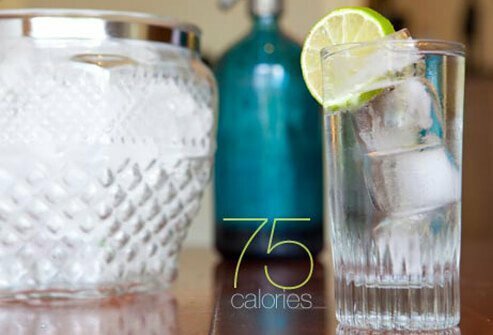 Did you know that tonic water has nearly as many calories as soda? Switch to diet tonic water for a skinny version of this favorite cocktail. Bubbly seltzer water is another option that can shave calories -- although it's really a different drink without the bitter nip of quinine in the tonic water. In that case, punch up the flavor with a squeeze of lime juice or a flavored seltzer. 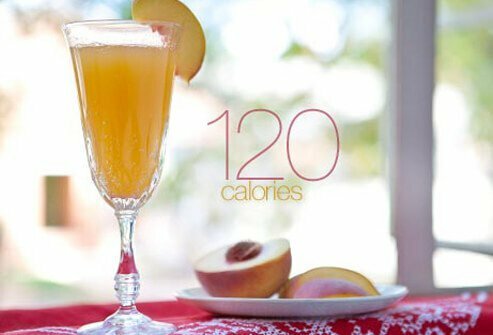 Slim down Italy's festive Bellini by using just 2 ounces of peach nectar, about half the usual amount. Swirl the syrupy nectar together with 4 ounces of champagne and serve in a pretty, fluted glass. Mimosa lovers can try the same trick to cut the calories: use just half of the usual orange juice. Flavor-infused alcohols are a tasty way to limit juice mixes, which can be high calorie. 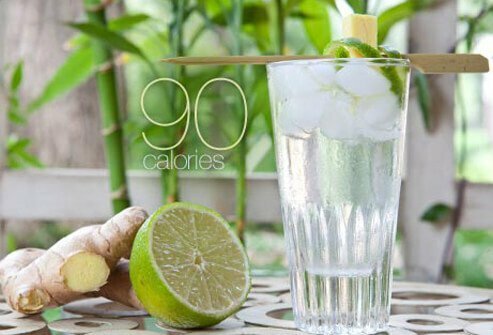 Try ginger vodka and lime sparkling water for a fusion of Asian flavors at just 90 calories. 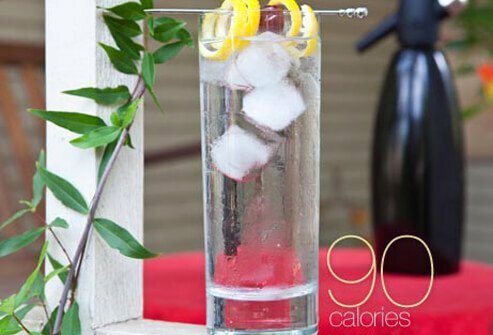 Look for flavored seltzer or mineral waters that have no added calories. The mix of lemonade and sweet iced tea, favored by golfer Arnold Palmer, becomes a popular cocktail when you add a shot of vodka. 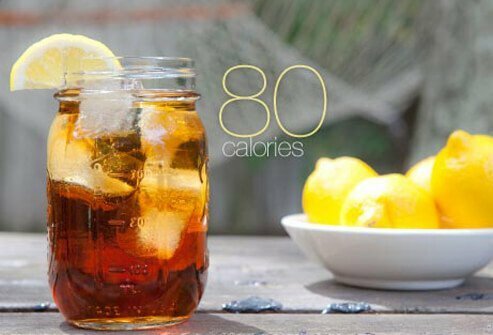 You can slice off half the calories in this tall, cool drink by using low-calorie lemonade and sweet-tea-flavored vodka. This specialty vodka is lower in calories than traditional types. Enjoy the tart flavor of a Tom Collins without the syrupy mix, sugar, and other sweeteners that bartenders often swirl into your glass. Our skinny version starts with vanilla vodka, instead of gin. Vanilla carries a sweet flavor with very few calories. 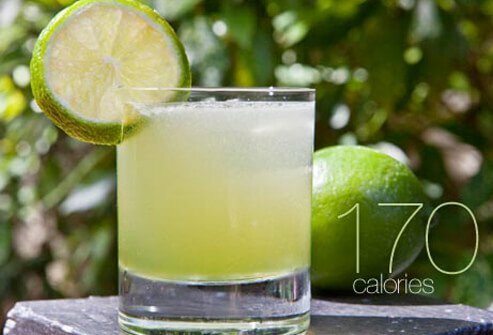 Add a splash of lime juice and a zero-calorie sparkling water flavored with lemongrass, mint, and vanilla. Choose fresh 100% juice rather than mixes. 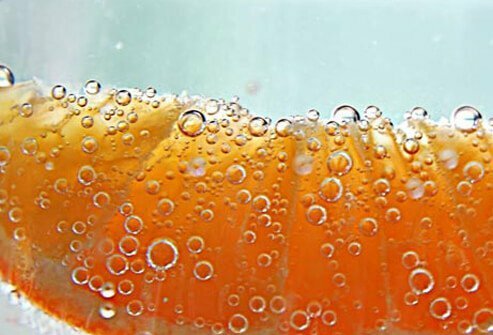 Use zero-calorie bubblers instead of soft drinks. Try flavored seltzer, sparkling water, or club soda. Fewer ingredients mean fewer calories. Pay attention. Moderation is key for your waistline and health. Don't add creamed spirits or liqueurs. 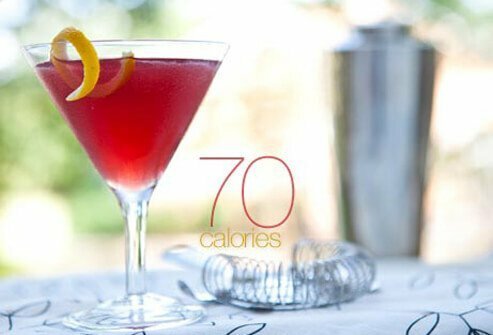 They double the calories in a cocktail. Don't order an after-dinner drink, which is often sweet. Don't sip a sweet dessert wine, which has about 40 calories more than table wine. Do you love rosy red cocktails? If they call for grenadine, it's a red alert that your diet is about to explode. Grenadine is pomegranate juice and simple syrup. To get the same look and a sweet taste with fewer calories, make your own grenadine. 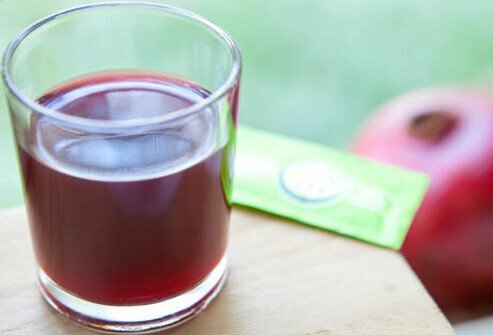 Boil down pomegranate juice and sweeten it with stevia. Carolyn Brown, MS, RD, registered dietician with Foodtrainers. Joanna Li, certified bartender, B.S. in Nutrition & Dietetics, Foodtrainers. National Institute on Alcohol Abuse and Alcoholism.